Nokia has updated its Maps service, launched back in February. 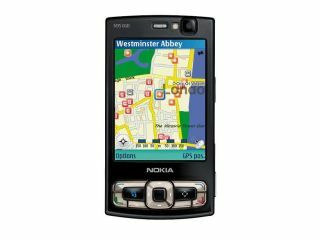 The Nokia Maps mobile application and Nokia Map Loader for computers have each been downloaded more than a million times, Nokia said. The new version of Nokia Maps features an improved user interface with better local searches and more detailed categories. Nokia has also added a GPS status indicator so you can see when your mobile is connected to a GPS satellite. Maps and routes of 150 countries are now covered by Nokia Maps, 50 of which are navigable. The mobile application is also due to be integrated into Ovi, Nokia's new internet portal, which incorporates the Nokia Music Store, Nokia Maps and N-Gage games. The free, computer-based Nokia Map Loader application has been improved as well and now transfers map data 10 times faster, Nokia said. Basic route planning is free but you'll have to pay for data downloads. There's a free three-day trial Navigation licence thrown in with the updated version of Nokia Maps.